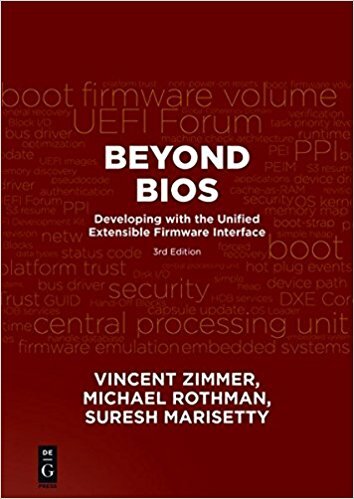 This is the first in a series of articles looking at what it takes to compile a UEFI C++ application under EDK2. This isn't an attempt to cover everything. I'm not a compiler library expert, so I'm not trying to port everything in the STL over. Nor am I a regular GCC user, so my efforts have been focused on Visual Studio 2015. 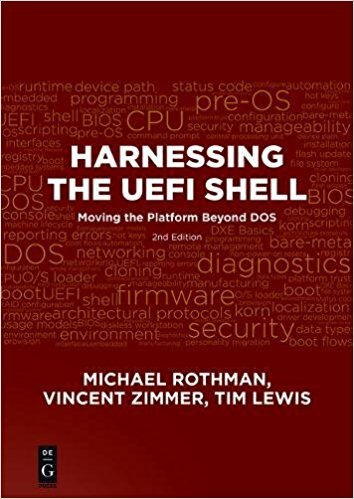 Finally, I am focused on UEFI Shell applications, rather than normal UEFI apps or UEFI drivers. That is, all of the C symbols that are automatically included into the build have the extern "C" linkage specifier placed around them so that they will handle calls from either C or C++ source code. So someone was thinking about C++. For my solution, which is checked in on SourceForge here, I started simply by handling the necessary support for the new and delete operators, with no support for exceptions. This C++ library depends on the StdLib C library that comes with EDK2. For the most part, the C headers would work just fine, but two critical files (MdePkg/Include/Base.h and StdLib/Include/sys/EfiCDefs.h) generate errors when pulled in to C++ code. For now, I simply created new, slightly modified versions to work around the minor issues. This requres that your .inf file list the new library before listing the StdLib. This changes the include order so that, if there is a modified version for the C++ library, it will be preferred over the one in StdLib. So far, only the new header file declares anything of substance. The others (wchar.h, stdlib.h, stdio.h) just provide wrappers for the StdLib that bring in the versions of Base.h and EfiCDefs.h that work with the library. But the results are pretty nice. Assuming you don't need exception handling or the C++ standard library, you can use all of the normal C++ features, such as classes and inheritance and templates. This is just the starting point. Over the next articles, I will expand the support for both the C++ and C libraries.